I am unable to take credit for this warm-up activity; however, it is a great one to perform in the classroom (modified to suit the age of course). This idea has been circulating the internet for some time and would be an AMAZING introductory activity for the lesson plan, “How Full Is YOUR Bucket?” Please find this activity afterwards in the LESSON PLAN section of the site. Just when you think life is tough. This chain comes in a few different versions, one involving beer, another, coffee, one with a mayo jar, one with a mason jar. Chain1: When things in your life seem almost too much to handle, when 24 hours in a day are not enough, remember the mayonnaise jar and the 2 Beers. Chain1: A professor stood before his philosophy class and had some items in front of him. Chain1: When the class began, he wordlessly picked up a very large and empty mayonnaise jar and proceeded to fill it with golf balls. Chain2: A time management expert stood in front of the group of high-powered achievers. He said, “Okay, time for a quiz.” Then he pulled out a one-gallon, wide-mouthed mason jar and set it on a table in front of him. Then he produced about a dozen fist-sized rocks and carefully placed them, one at a time, into the jar. Chain1: He then asked the students if the jar was full. Chain1: They agreed that it was. Chain2: “Really ?” He reached under the table and pulled out a bucket of gravel. Then he dumped some gravel in and shook the jar causing pieces of gravel to fill in around the big rocks. Chain1: The professor then picked up a box of pebbles and poured them into the jar. He shook the jar lightly. Chain1: The pebbles rolled into the open areas between the golf balls. Chain1: He then asked the students again if the jar was full. Chain2: By this time the class was onto him. “Probably not,” one of them answered. Chain2: “Good!” he replied. He reached under the table and brought out a bucket of sand. Chain1: The professor next picked up a box of sand and poured it into the jar. Chain1: Of course, the sand filled up everything else. Chain 2: “No!” the class shouted. Chain1: And poured the entire contents into the jar, effectively filling the empty space between the sand. Chain2: What are the “big rocks” in your life? Family? Health? Friends? Volunteer time? Chain2: or hitting the “refresh” button on your Facebook page 6 or 7 times an hour. Chain2: sit outside the jar neglected. Chain2: Ask yourself, “What are my big rocks?” and remember to put them first, or they won’t get in at all. Chain1: ‘Now,’ said the professor as the laughter subsided, ‘I want you to recognize that this jar represents your life. Chain1: The golf balls are the important things—your family, your children, your health, your friends and your favorite passions—and if everything else was lost and only they remained, your life would still be full. Chain1: The pebbles are the other things that matter like your job, your house, and your car. Chain1: The sand is everything else—the small stuff. Chain1: ‘If you put the sand into the jar first,’ he continued, ‘there is no room for the pebbles or the golf balls. Chain1: The same goes for life. Chain1: If you spend all your time and energy on the small stuff you will never have room for the things that are important to you. Chain1: One of the students raised her hand and inquired what the Beer represented. Chain1: The beer just shows you that no matter how full your life may seem, there’s always room for a couple of beers with a friend. I’m so happy to hear that! Isn’t it wonderful when the synchronicities of life line up? I’m not sure that I agree 100% with your blog post, but I did discover it intriguing. I’m happy for the response either way…life would be pretty boring if we all shared the same opinion. Please feel free to let me know what your points of concern are. I would love to hear your perspective. I always teach my students to have discernment and to question everything. Thanks for your honesty and your compliment! I definitely will! Thanks for the support. Hearing your comments makes it easy to keep the ideas flowing! Keep up the fantastic piece of work, I read few content on this site and I think that your site is real interesting and has got circles of fantastic information. Thanks for the great feedback! Please let me know if there are any topics you would like me to touch on. I wanted to visit and allow you to know how really I cherished discovering your web blog today. I’d personally consider it a good honor to operate at my workplace and be able to make real use of the tips discussed on your web-site and also take part in visitors’ comments like this. Should a position of guest publisher become offered at your end, i highly recommend you let me know. A fantastic comment to receive – thank you! Please feel free to contact me at nicole@newageteacher.com and we can discuss your ideas. Please keep me posted on how all of this goes within your workplace. I comment whenever I especially enjoy a article on a website or if I have something to add to the discussion. It’s triggered by the sincerness communicated in the article I looked at. 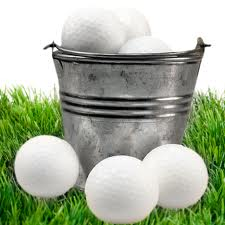 And on this article Life Is Like A Bucket Of Golf Balls | New Age Teacher. I was excited enough to leave a commenta response 🙂 I actually do have 2 questions for you if you do not mind. Is it simply me or do a few of these responses come across like coming from brain dead folks? 😛 And, if you are writing on other sites, I would like to keep up with you. Could you make a list all of all your communal pages like your Facebook page, twitter feed, or linkedin profile? I do appreciate you taking the time to let others know when you enjoy their work – that is a wonderful thing to do! 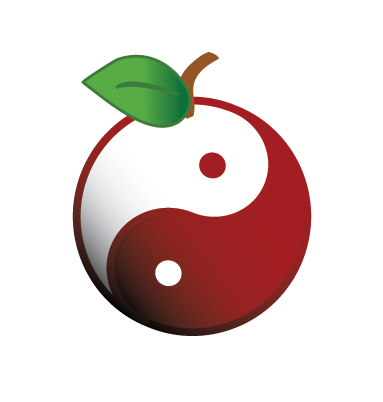 Please continue to follow me on http://www.newageteacher.com I will be working on adding in some other social media such as twitter and facebook. Please keep checking back for these additions. I’m thrilled that the information has helped! That is the intent after all. It’s wonderful when the timing of things works out! Thanks for your comment. What’s Going down i’m new to this, I stumbled upon this I have discovered It absolutely useful and it has aided me out loads. I’m hoping to give a contribution & aid different users like its helped me. Good job. I’m happy to hear that the introduction of this type of material has been positive for you. Looking forward to hearing about your contributions! Thanks for the comment! Thanks so much for the feedback and well wishes! Many people have asked about the structure of the site itself – please see the website: http://www.ugenda.com Here, you will find my web designer! How you present things cause them to appear very easy. However, I find it very difficult to understand for the majority of us as this matter is extremely broad and complicated. Therefore, We are getting excited about your future post. I like the actual way you express what’s on your mind. Thanks for your comment! The fact that others are excited for my future posts greatly excites me! Please feel free to share what you find most complicated – I would love to try and provide some insight. Thanks for your support! Thanks for your marvelous posting! I actually enjoyed reading it, you happen to be a great author.I will be sure to bookmark your blog and will eventually come back later in life. I want to encourage yourself to continue your great work, have a nice weekend! Thank you GREATLY for the words of encouragement! It means so much. I do hope that you will visit the site again soon 🙂 Have a super weekend as well! I don’t ordinarily comment but I gotta tell regards for the post on this perfect one :D.
I’m so glad that you decided to comment this time. I really appreciate you taking the time to do so! Great! I certainly hope that it’s helpful as that is my intent. Welcome back any time! You’re welcome. And thank you to you for taking the time to respond. Wow! Thank you! Would you feel comfortable in sharing how it has helped you? Thanks so much! I appreciate you taking the time to let me know. Great! Where did you look? I’m interested in knowing what you were able to find? It is perfect time to make some plans for the future and it is time to be happy. I’ve read this post and if I could I desire to suggest you some interesting things or suggestions. Perhaps you could write next articles referring to this article. I desire to read even more things about it! You’re very right. In these times, reaching for your ‘happy place’ is precisely what we need to do. Please let me know more specifically what type of articles you were looking for. Thanks! I admire the content that you have uploaded, I will stay in contact because I know I will always find this Information very handy. Thank you for the kind comment. Please let me know if there is anything specific you would like to see on the site. Will be for sure and I look forward to hearing more from you in the near future. A formidable share, I just given this onto a colleague who was doing a bit of analysis on this. And he in fact bought me breakfast as a result of I found it for him.. smile. So let me reword that: Thnx for the treat! But yeah Thnkx for spending the time to debate this, I really feel strongly about it and love studying extra on this topic. If possible, as you turn into experience, would you thoughts updating your blog with more details? It is extremely useful for me. Large thumb up for this weblog submit! Some genuinely nice and utilitarian info on this internet site , also I believe the pattern contains good features. I just want to mention I’m beginner to blogging and site-building and actually liked this web page. Very likely I’m want to bookmark your blog . You definitely come with superb article content. With thanks for sharing your blog site. With much thanks in return! Good luck with your blog as well. What a nice reason to return. Thank you and please return again! Looking forward to your future visits! May I simply say what a comfort to uncover an individual who actually knows what they’re talking about on the internet. You certainly understand how to bring an issue to light and make it important. More and more people really need to check this out and understand this side of the story. I was surprised that you’re not more popular because you most certainly possess the gift. What a beautiful response. Thank you. I certainly feel nothing but passion when it comes to this information and a definite need to spread the word. Thank you for picking up on this fact and please return often. That’s wonderful – thanks! I am curious to find out more about your own initiative. Please feel free to write back and share more information. Best of luck with your endeavours. Bonjour! I’m amazed with your Blog, and think that it is really informative. Is this a paid theme or did you modify it yourself? It’s rare to see such a nice blog like this one these days… Gracias. Thanks and keep checking back for more like these! Super – please visit again soon! A lot of tremendously logical points! I appreciate you publishing this write-up and also the rest of the site is very wonderful also. Thank you. This particular post seemed to strike a chord with many! Thank you. That is certainly my intent – to help others. If you don’t mind me asking, what did you mean by money and freedom are the best way to change? What type of change are you referring to? Thank you for your well wishes. Thanks. These topics have been a passion of mine for quite some time.